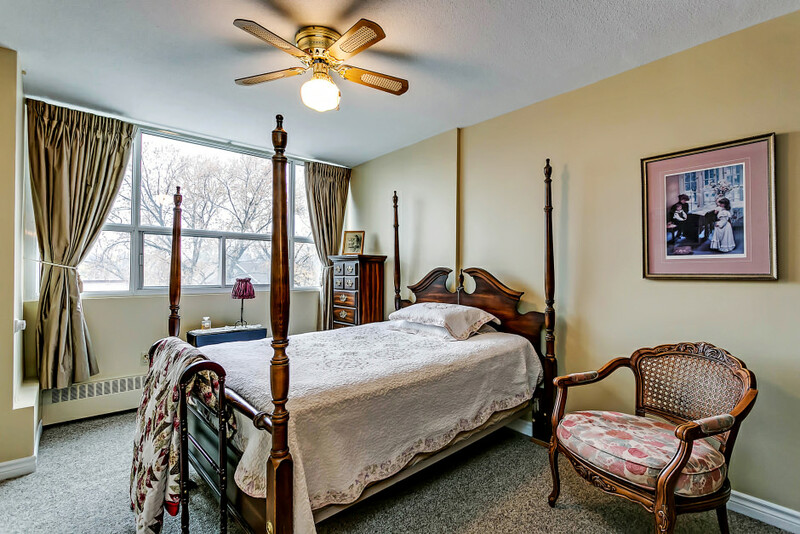 Bright, spacious and well maintained 1-bedroom condo conveniently located in the heart of downtown Bronte Village. Open and airy layout, a wall of windows allows for great natural light, new laminate flooring. Oversized bedroom with large double closet. Separate linen closet. Kitchen features plenty of cupboard space. Enjoy beautiful sunsets from your private balcony with north-west exposure allowing for great afternoon and evening sun. 1 dedicated underground parking space. The extremely well maintained and managed building features a newly renovated lobby, elevators, billiard room and yoga studio. Building amenities include an exercise room, outdoor pool, party room, and workshop. Small pets are welcome. Easy walking distance to an abundance of restaurants, trendy shops, waterfront trails, a gorgeous marina/yacht club and Lake Ontario. Quick possession available.